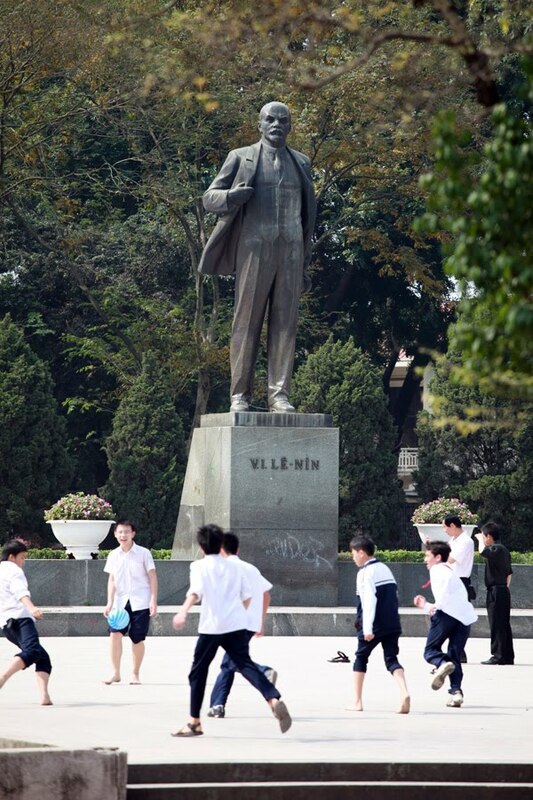 There is a statue in Hanoi dedicated to Lenin, the founder of the Soviet state. It is located in a triangle-shaped playground on Duong Dien Bien Phu Street, overlooking the Army Museum. When I was there kids where playing football beside this larger than life statue.